On Friday (8 Feb), MS News reported that Mag Chan – the co-founder of Her Velvet Vase – was accused of stealing a chihuahua from her university schoolmate in America. 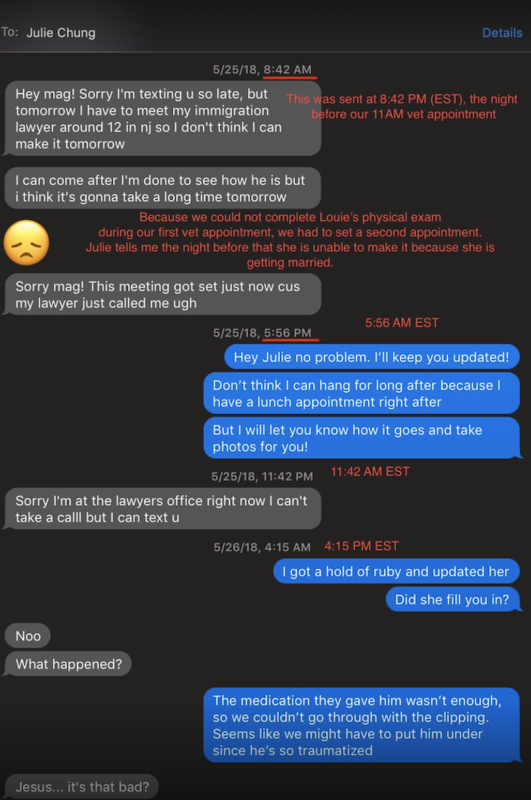 A few hours after the post, Mag responded to Julie – the chihuahua owner – and her allegations. 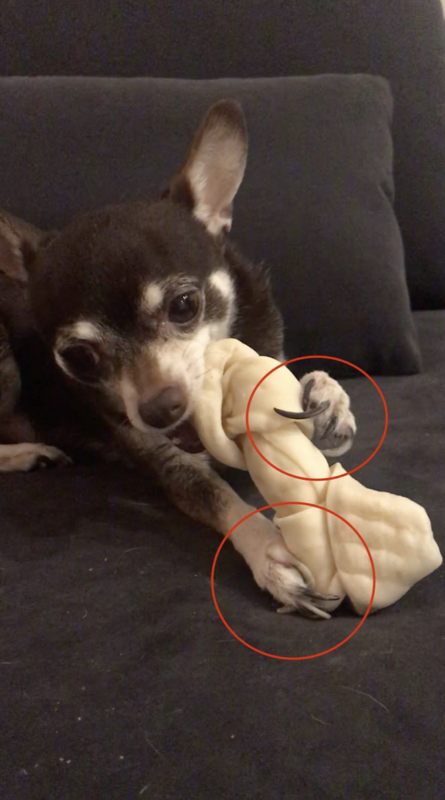 She recounts that the chihuahua named Louie had nails that were “horribly overgrown” that they bled and curled into his paws. He was also diagnosed “with severe anxiety and aggression stemming from fear”. 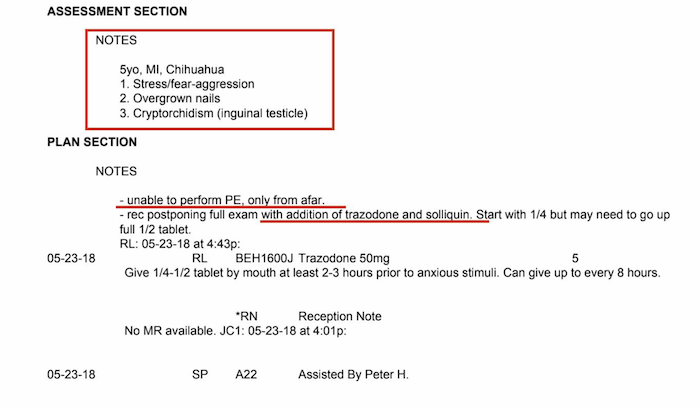 Louie was also found to have cryptorchidism which is a “condition where one of the testes don’t descend from the abdomen”. 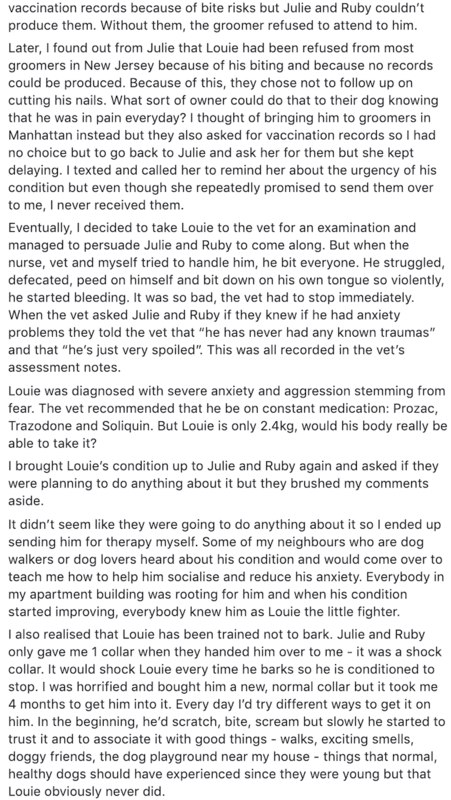 She claims that Louie is doing a lot better now. His nails are clipped, he prances with joy when he sees the collar and he made new friends. Since the controversy, she claims that some netizens have used hostile expletives in posts on her brand’s page. She also hopes that her friends are not dragged into the issue, and claims she’ll return the dog. 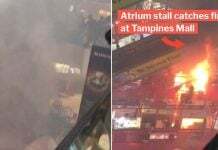 Through Facebook photos, Mag tells her side of the story which began in April 2018. 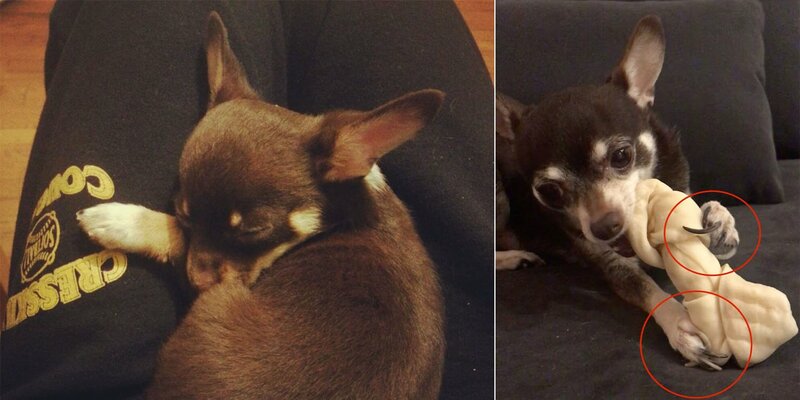 She volunteered to help Julie take care of her dog after she was admitted to New York’s Parsons School of Design. 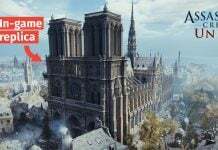 Mag revealed that there were some odd details in the post. 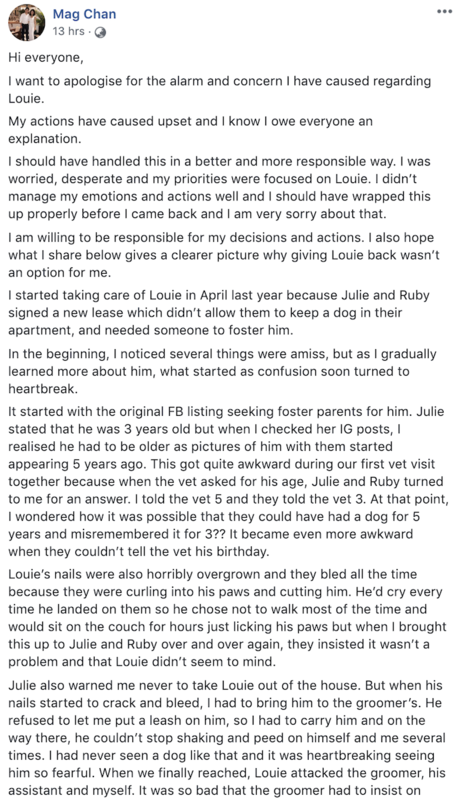 Julie wrote that Louie was 3 years old, when her posts with him started 5 years ago. 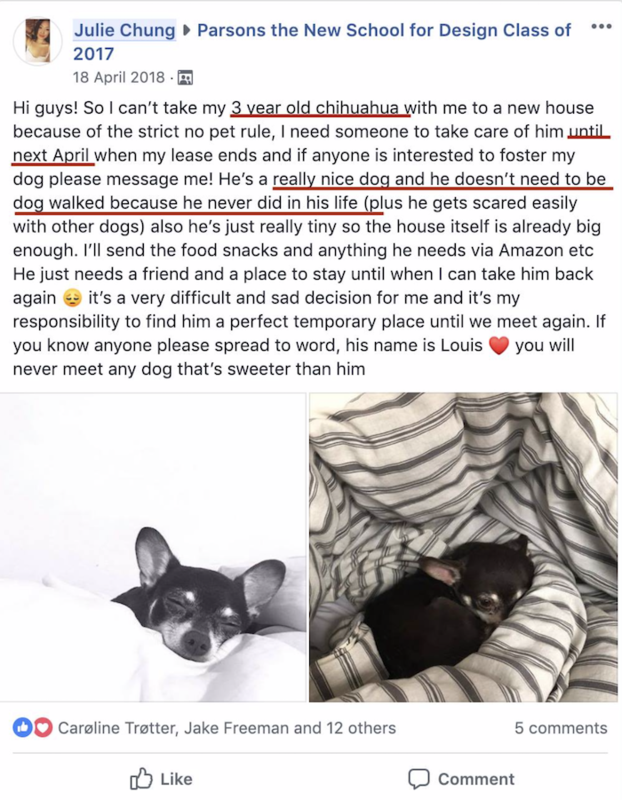 Additionally, Julie claims that her chihuahua never needed to be walked because “he never did in his life” unlike most dogs. 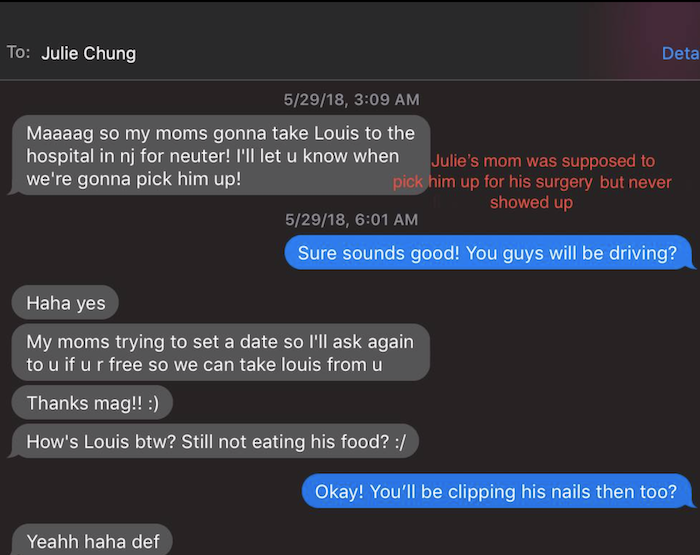 Mag thinks that the reason why Louie “never walked” was because of his horribly overgrown nails. Mag insisted that Louie’s nails needed to be trimmed and both parties mutually agreed. 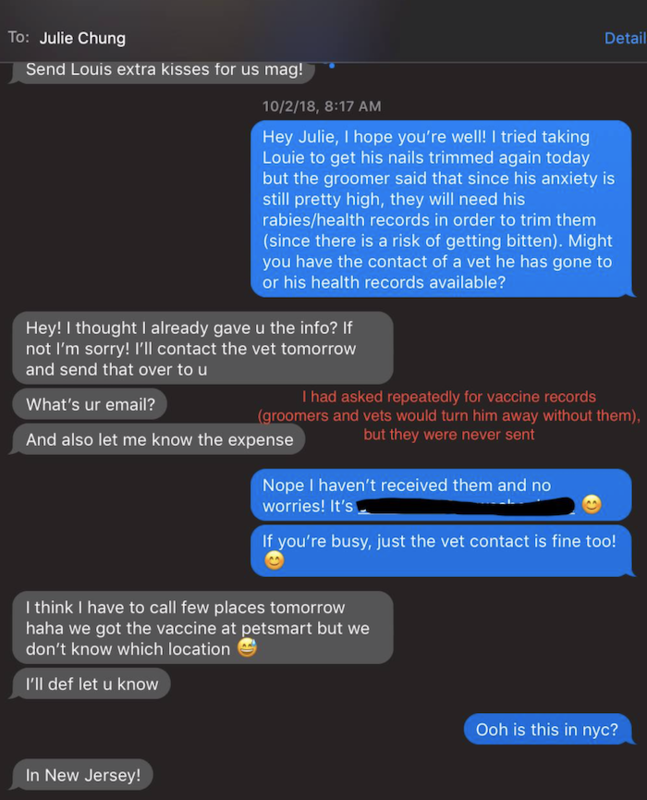 To get trimmed, Louie needed past vaccine records, but they were never sent, according to Julie. During a visit to the groomer, Mag was surprised when Louie allegedly freaked out. 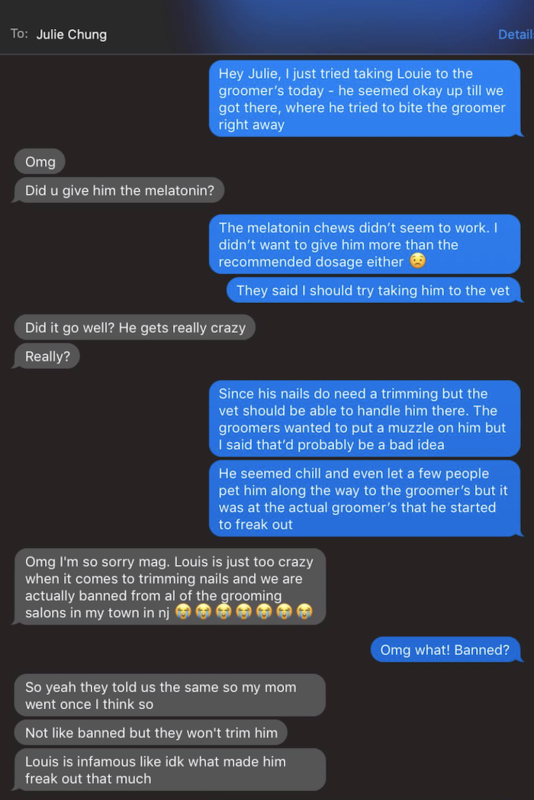 Julie casually wrote that they were “banned” from all the grooming salons in New Jersey and no one wanted to trim her pet. 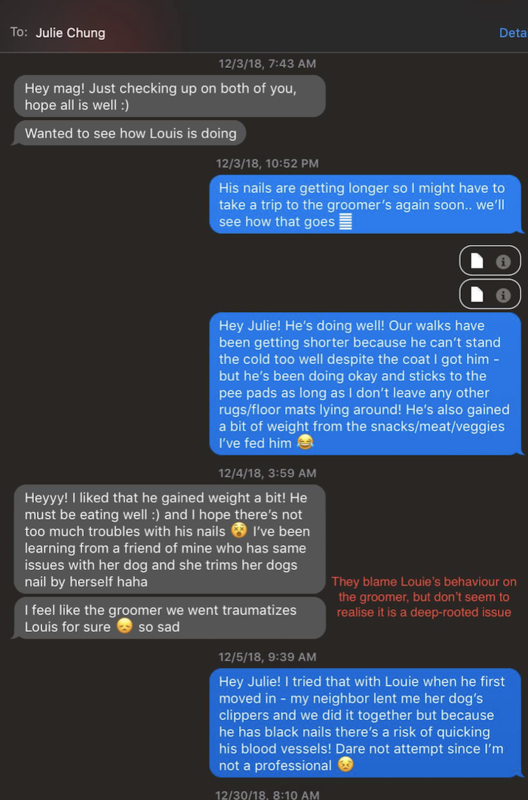 While Julie was happy that her dog was in good health, but Mag claims she felt disturbed by the former’s belief that a previous groomer traumatised Louie. Despite the lack of any vaccination records, Mag decided to bring Louie to the vet. His assessment included stress or fear-aggression, overgrown nails and cryptorchidism. As Julie mentioned in her post, cryptorchidism is a condition where the one of the dog’s testes doesn’t “descend from the abdomen”. Before the vet’s diagnosis, Mag thought it was odd that there was a marble-sized lump on Louie’s belly. 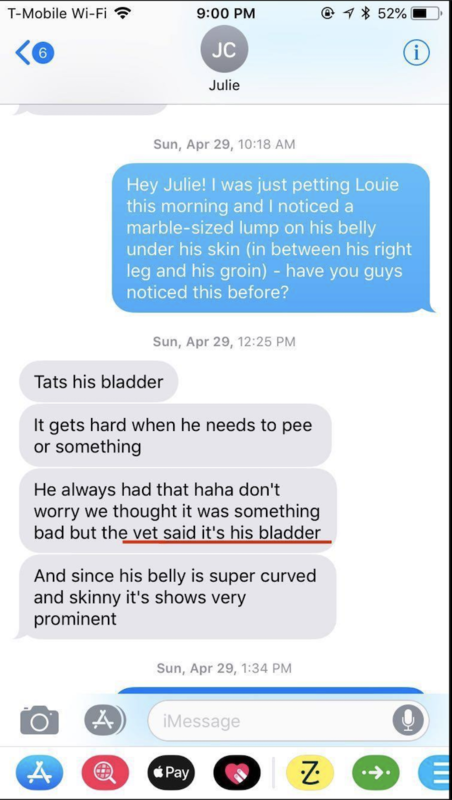 Julie said that the lump gets hard when Louie needs to pee, but she told Mag not to worry. 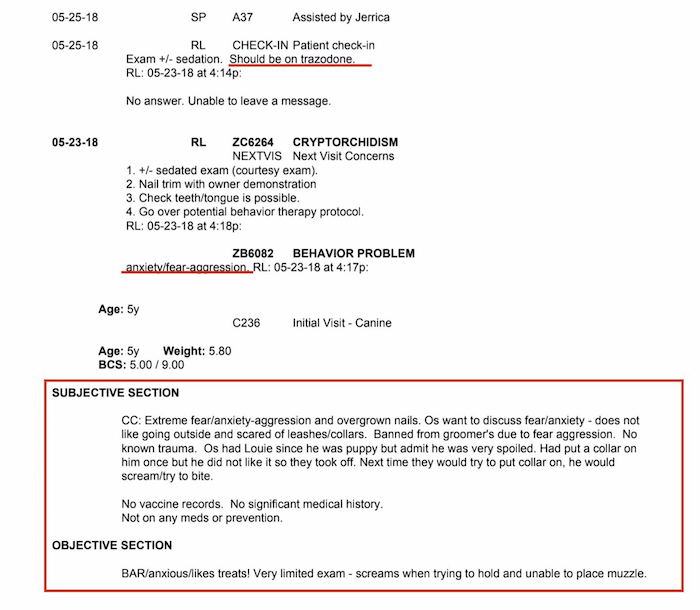 The diagnosis further reveals that Louie suffered from mental health issues like “extreme fear or anxiety-aggression”. 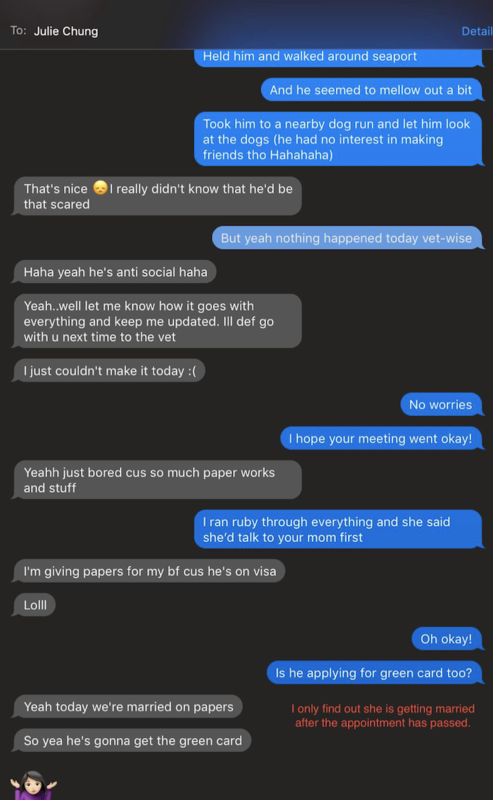 While Julie claims that Mag stole her dog, Mag posted screenshots of conversations which revealed that she attempted to return Louie several times. Mag wanted Julie to come for Louie’s vet appointment. 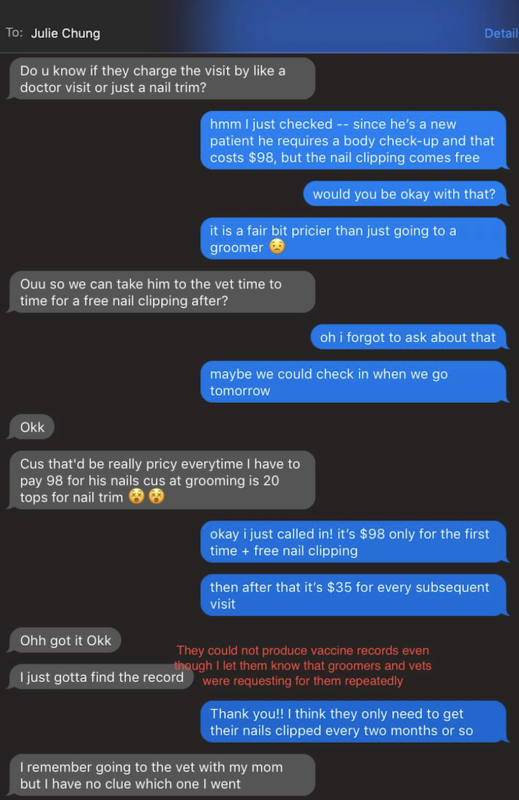 They could not complete their first appointment so they scheduled a second date. However, Mags was allegedly busy with her lawyer. She later found that Mags was scheduled to get married on paper during said date. 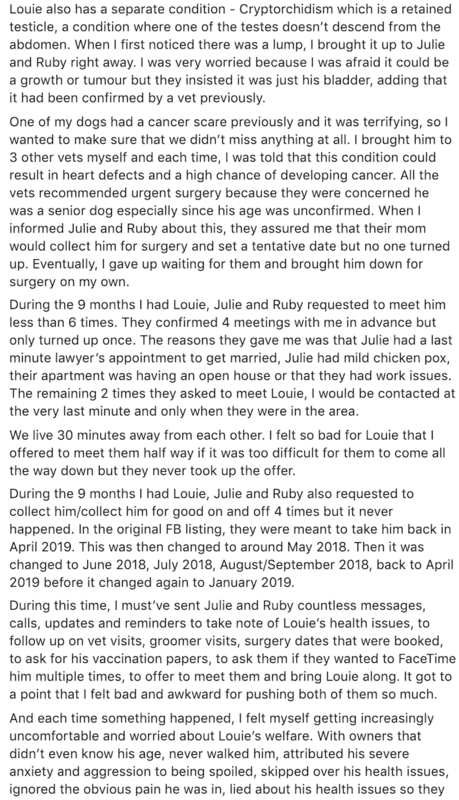 Last June, Julie’s mother was scheduled to pick Louie up for his surgery with the vet. Mag claims she never came. 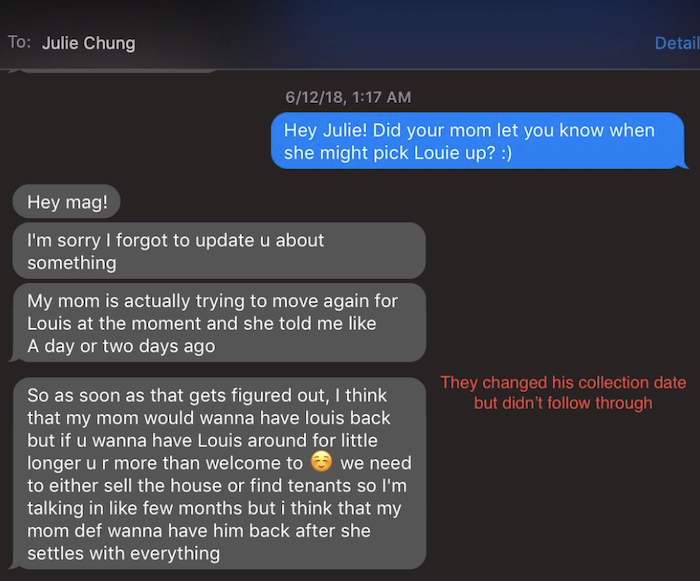 Mag adds that she later discovered that Julie’s mom was trying to move again, explaining the change in collection date. 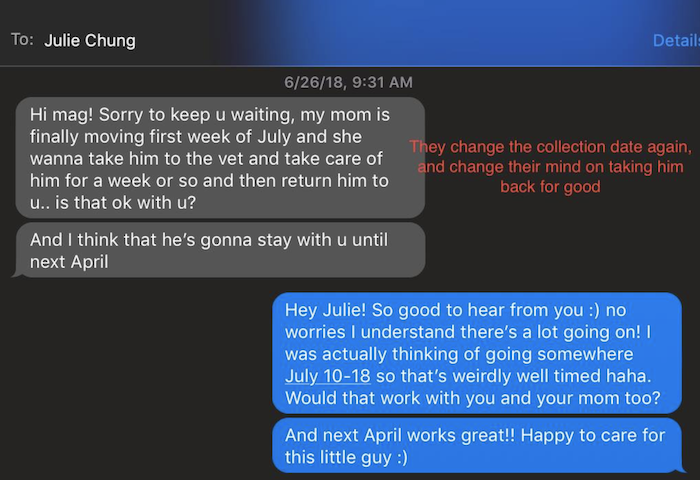 In another conversation, Julie seems to have moved the collection date again. Her mother allegedly wanted Louie for one week and they opted to return him to Mag’s care. 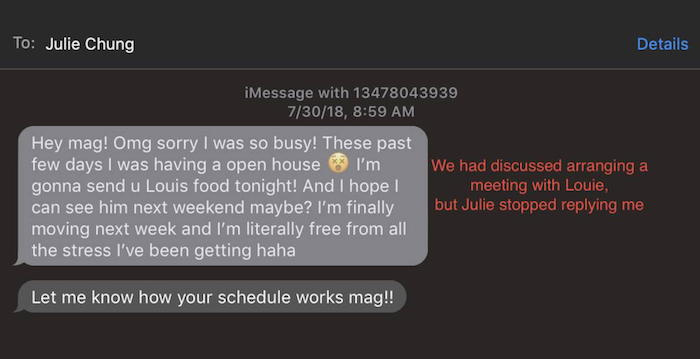 The routine of cancelled appointments continued until Mags claimed that Julie stopped replying to her. In the meantime, Mag has returned to Singapore with Louie. 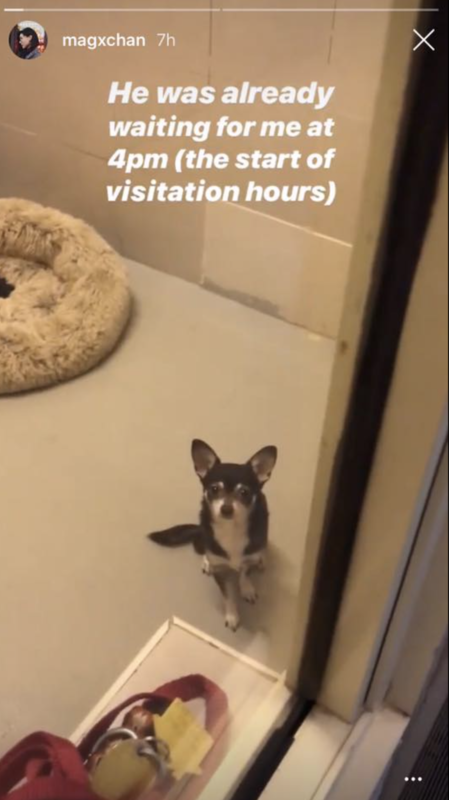 According to Mag’s Instagram story, Singapore requires pets to be quarantined for about 10 to 30 days due the possibility of rabies, so Louie is stuck in quarantine. While Mag claims that she will return Louie, we’re not sure when and how he will be reunited with Julie, who resides in a foreign country. 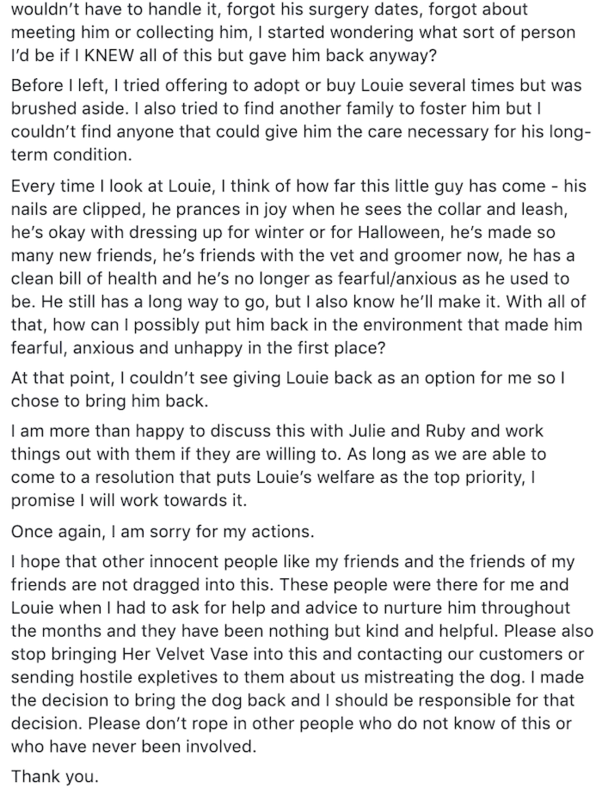 We hope the dispute will be settled between both parties soon for Louis’ benefit.